What’s happening at the Democratic National Convention that Arizonans wouldn’t know by watching from home? 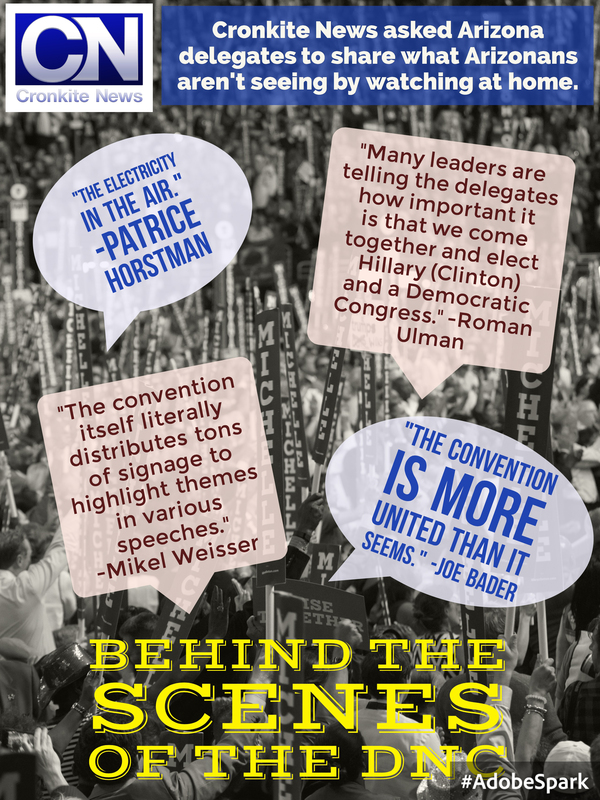 This story was inspired by contributions from our readers, viewers and sources in the Public Insight Network who responded to our questionnaire about the national political conventions. If you would like to submit a story idea or learn more, click here.